Indications: Neuropathies, neuralgia, paresis, asthenia, anorexia. Deficiency of vitamin B1. Rheumatism and joint pain as a coadjuvant in the toning of the sports horse. Improvement of athletic performance. Formula: every 100ml. 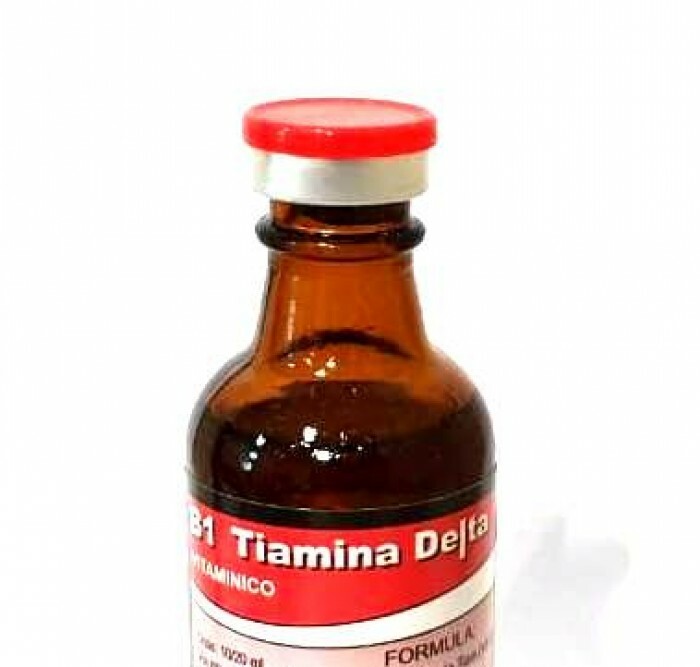 Thiamine hydrochloride 30 gr. Distilled non-pyrogenic water csp 100ml. 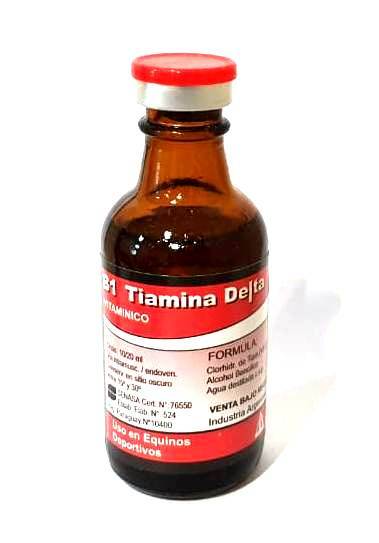 Dosage: (preventive or therapeutic) Equines 10 to 20ml / day, intramuscularly or intravenously.